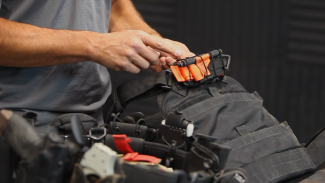 Ken Hackathorn takes the new .300 HAM’R AR Pistol for a test drive, and has some critical teaching points about carrying and deploying a system like this in a vehicle. For years the preferred back up gun for peace officers and private citizens was a small J-Frame size revolver. 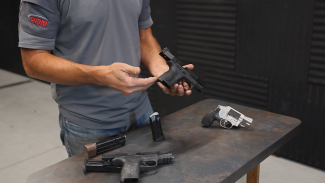 In the last few years, however, small subcompact semiautomatic handguns that function just like the primary—and in many cases use the same magazine—have become available and might make more sense for a secondary gun. 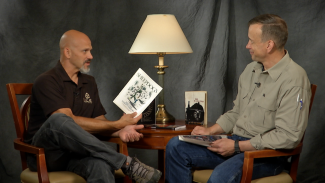 In this in-depth conversation with Lt. Col. Dave Grossman, he talks about his ground-breaking books On Killing and On Combat that resulted in the sheepdog concept. Private citizens who are prepared to defend themselves and others are sheepdogs and the subject of the latest book by Lt. Col. Dave Grossman, Sheepdogs: Meet Our Nation’s Warriors. During self-defense preparation, we want to integrate concepts that apply to both armed and unarmed situations. What techniques should we spend time training to deal with the human weapon system? PDN Managing Editor Rob Pincus sits down with Dr. Robert Smith of the Direct Action Medical Network, who discusses the concept of self-defense pressure points.